We had a golden Autumn with plenty of sunny days. The sky was a deep blue and certain trees full in their colourful best. 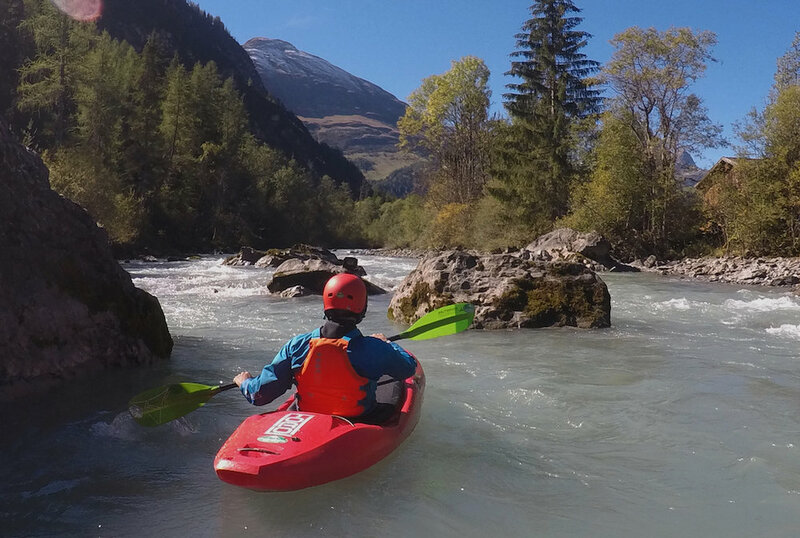 The River Inn gave us plenty of sections, be it at home in Austria or in the Engadine Region of Switzerland. The Giarsun Gorge was the lowest we have ever kayaked it but the scenery was stunning and Autumn levels gave us different lines to lead and make. The Oetz was busy with kayakers. We were guiding on the Lower Venterache, Upper Oetz and of course the Lower Oetz. 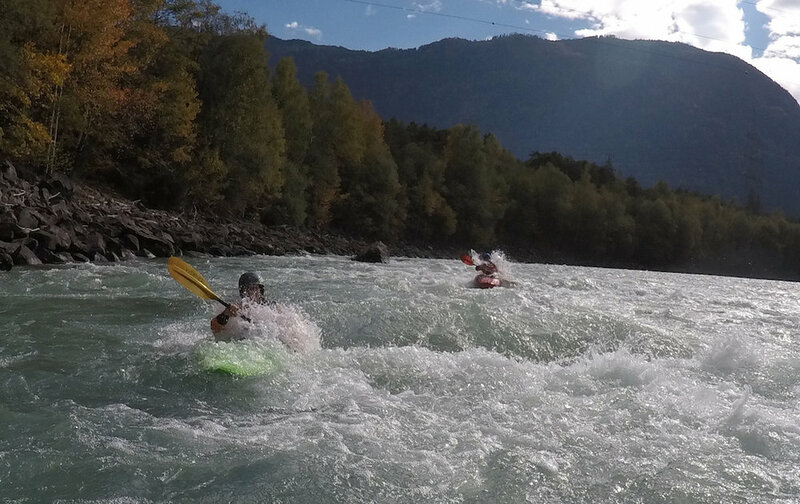 Luckily between the sunny days we received some rain, which brought the water levels high enough for a run on the Lech and Sanna. In October we were at the Paddle Expo with the Team from Peak UK. 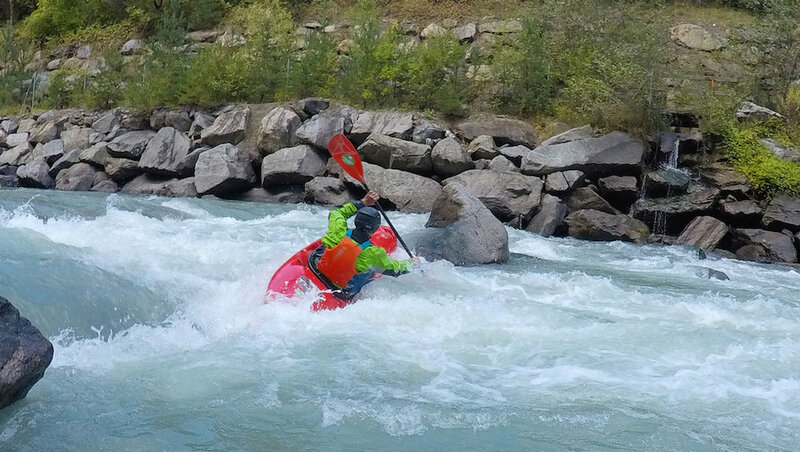 It was a fantastic show, Peak UK won the Gear of the Year award with their River Wrap PFD. Pete came over to Austria for a few days in the Summer to take some photos of Ute kayaking with the River Wrap on the Sanna. She was now plastered on the entrance wall of the stand with a gleaming smile! Once the Sanna and Lech again become too low we were back on the Inn making the most of the levels before we headed to Chile. A final trip down the Giarsun Gorge with Bobby and Ute before packing everything away and preparing the base for Winter. We were on our way to Chile with plans, dreams and ideas plus a confirmed guided trip. Our 2019 dates have been published and certain courses are starting to fill up. If you would like to know in advance about our courses, trips and adventures then please sign up to our Newsletter. We do not bombard you will tons of mails but the few we do send are a great read with even better photos.